A book is always a good friend on the Camino. 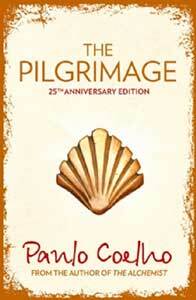 Reading books about the Camino is important before and after since you get closer to this amazing experience. There are all kinds of books you can read not only about the Camino itself, but also about feelings, adventure, religion and so on. Some pilgrims prefer classic journey books, others modern novels. I know there is such a big variety that I only want to offer here some of the most popular among the pilgrims I have met. Besides, I would like to say that more and more pilgrims are using more Kindle books than paperbacks, the reason is evident: they are easily portable. Kindle books are lighter and if you are a pretty fast reader you can carry a completely portable kindle library. 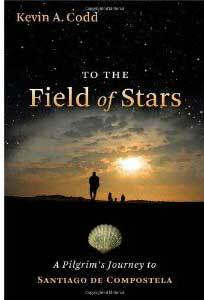 This is such an open honest journal of Kevin Codds experience on the Camino de Santiago. “His spiritual experiences along the way resonated with my heart and caused me to look inward” said a Pilgrim on the camino Francés. Very unexpected! Father Codd writes quite well in a Hemingwayesk manner. Father Codd captures the true human essence of the realities of physically walking the 800 kilometers while undertaking an unimagined spiritual growth and healing. 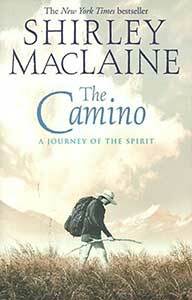 Through the true story, one can visualize their own human traits, strengths and weaknesses through the myriad of over a month walking the Camino. Every day beholds lessons available to the eyes of one who is truly open to God, especially the pure formation of a family not in a physical sense, but in a bonding emotional sense of agape love, caring and understanding. Guy Thatcher walked the Camino de Santiago, an ancient pilgrimage route, hoping to discover the reason for the compulsion that drove him there. What he found instead was the timeless land of northern Spain, beauty, silence, mountains and plains, rain and relentless sun, snow in May, heartbreaking climbs, fatigue, and injury; friendly and welcoming people, new friendships, despair, transcendental joy, birth and death, and churros con chocolate. He came away with a renewal of his belief in the remarkable goodness of ordinary people from all over the world as they shared an extraordinary journey. 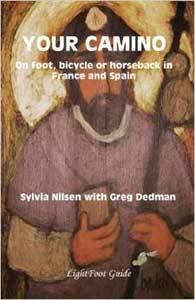 Roads to Santiago is an evocative travelogue through the sights, sounds, and smells of a little known Spain-its architecture, art, history, landscapes, villages, and people. And as much as it is the story of his travels, it is an elegant and detailed chronicle of Cees Nooteboom’s thirty-five-year love affair with his adopted second country. He presents a world not visible to the casual tourist, by invoking the great spirits of Spain’s past-El Cid, Cervantes, Alfonso the Chaste and Alfonso the Wise, the ill-fated Hapsburgs, and Velázquez. Be it a discussion of his trip to the magnificent Prado Museum or his visit to the shrine of the Black Madonna of Guadalupe, Nooteboom writes with the depth and intelligence of an historian, the bravado of an adventurer, and the passion of a poet. 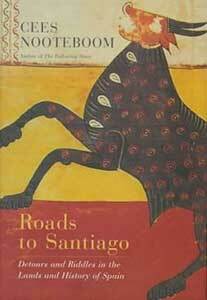 Reminiscent of Robert Hughes’s Barcelona, Roads to Santiago is the consummate portrait of Spain for all readers. This was Coelho’s first popular book, and as such denotes his evolving magical style. 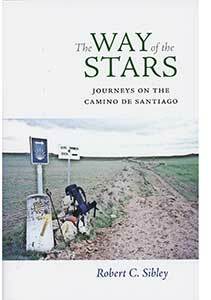 It is about his trip in the Santiago de Compostela trek that goes from east to west across Spain. I found the travel perspective of the book to be fascinating, and since I read it, I have thought many times about doing the trek myself. The lessons learned are presented in many different books aside from this one; what makes this book a little special, I believe, is that the story involves the reader in such a way that the lessons are driven effortlessly. If you’re looking for another Alchemist this is not the right book for you… it is about Mr. Coelho’s personal experiences, it is written in the first-person, and it is more spiritual. It contains “Meditation” exercises at the end of nearly every chapter. 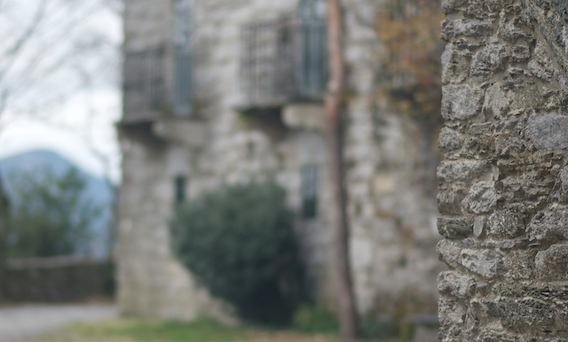 A medieval route that crosses northern Spain and leads to the town of Santiago de Compostela, the Camino has for hundreds of years provided for pilgrims the practice, the place, and the circumstances that allow for spiritual rejuvenation, reflection, and introspection. 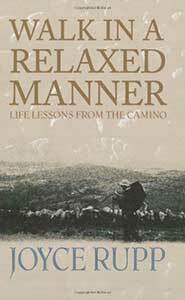 Sibley, who made the five-hundred-mile trek twice—initially on his own, and then eight years later with his son—offers a personal narrative not only of the outward journey of a pilgrim’s experience on the road to Santiago but also of the inward journey afforded by an interlude of solitude and a respite from the daily demands of ordinary life. The month-long trip put the author on a path through his own memories, dreams, and self-perceptions as well as through the sights and sounds, the tastes and sensations, of the Camino itself. “There are many ways to experience one’s spiritual education.” This quote from Shirley MacLaine sums up this incredible book perfectly. This is Shirley’s journey of one finding themselves, or re-discovering themselves on the centuries old Camino – a 500 mile spiritual trek across Spain. The reader is treated to flashbacks of Shirley’s past lives as she once lived along the Camino, including an amazing past life in Lemuria and Atlantis. 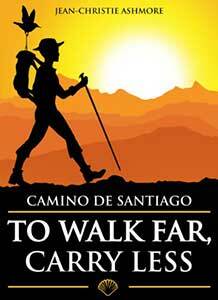 As someone who is not a backpacker or has never walked the Camino this seems like a wonderful guide. Having an example pack list with the weights listed is great for planning and shopping for gear. It’s useful to know how light things like sleeping bags can be! There is even a chapter that shows you how to save money by adapting everyday items into backpacking gear. I thought it was great that the author even included how to estimate weights of food and water that one would carry every day, since I would never have thought of that! This book includes every tiny detail of what to wear and what to carry in a backpack for the Camino. 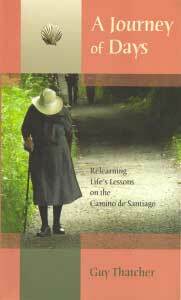 Reflections of this Catholic sister, as she walks the Camino with the semi retired priest of her parish.This journey of two people of faith met with all the challenges the Camino can offer. Joyce started out as what I call an overachiever, and Tom as a steadying influence. 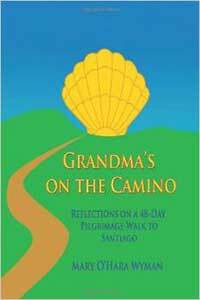 Rather than step-by-step guide that plans out your stages for you, this book gives you all the down-to-earth information you need to make the Camino experience your own! After years of answering frequently asked questions on Camino forums, the Internet, Camino workshops and on her Camino blog (amaWalker.blogspot.com) Sylvia Nilsen, provides the answers to your questions . Besides providing information and maps on the many different Camino routes in France and Spain ( with links to Jacobean routes in other countries) she offers advice on the best time to go and how to get there, planning daily stages, budgets and accommodation, pilgrim and trail etiquette. She enlisted the help of Greg Dedman (Camino pilgrim and backpacking expert) to help with chapters on technology, weather, food and language. Many other experienced pilgrims shared their expertise on subjects as diverse as disabled pilgrims, cycling, trekking with children, horses, donkeys and dogs. There are chapters on clothing and equipment covering boots, shoes, backpacks and sleeping bags, as well as medical matters, relics, Santiago Holy Years and pilgrim statistics. These are the most popular about this topic. However, I consider it could be interesting to recommend different books by some classical or modern Spanish authors who can inspired you for your camino. Next time I will try to write about my favorites. Of course, you can recommend your favorite!